“One man, 500 million European citizens to convince.” A documentary highlighting the origin of the global problems faced by small fishermen today, emanating from the implementation of the Salmon Ban and other EU Regulations over the years, is now available. The film ‘A Turning Tide in the Life of Man’, by filmaker Loïc Jourdain, conveys the complexity of such political decisions and the consequences for the lives of small coastal communities. Since 2006, islanders from the communities of Árainn Mhór Island, Inis Bo Finne and Tory Island, in Donegal, Ireland, together with experts from around the world, have been working on common documents and actions that will help them to survive Government-led policies. This action has allowed them to participate in the writing of new reform of the fishing policy which was put in place in 2014 for all European countries. 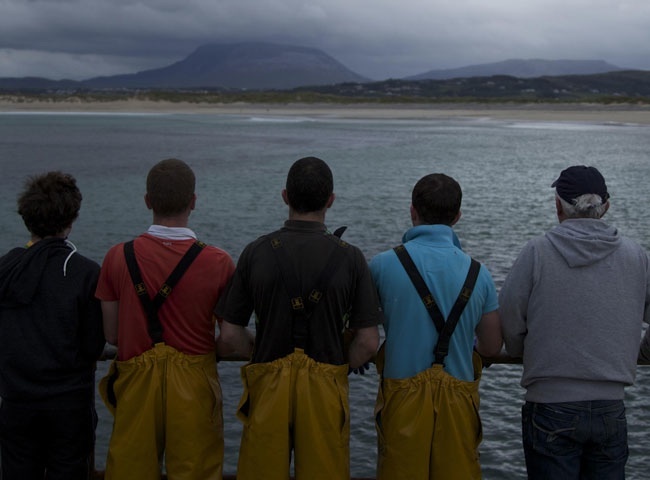 Focusing on one fisherman, John O’Brien, the documentary follows John’s personal journey with his family and friends from Árainn Mhór Island, Inis Bo Finne and Tory Island over 8 years. It looks at his work with international experts, NGOs, including the CPMR Islands Commission, leading him to the European Parliament in Brussels. The CPMR Islands Commission aims to make islands’ voice heard and understood at EU level. The film brings to light the issues and concern shared by islands communities across Europe and tells the story of the process followed by one man to convince 500 million European citizens.